“‘Til Summer Comes Around” is a sadly beautiful tale about a man who lives in a summer town and falls in love with a girl who’ll be leaving at the end of the season. Using the emptiness of “everything is closing down” as a backdrop, Urban’s heartbreak becomes one with the town. Just as the carnival rides are shut down and have to wait out the fall, winter, and spring, so does Urban have to wait for his love that promises to come back. Only she doesn’t, making the summer somehow sadder than the seasons he’s already waited out. Whereas he’s now surrounded by the town’s vibrancy and life that is there every summer, the hope that kept him going during the off-season has disappeared. Agreed. None of Urban’s recent singles have done anything for me, but I did download this one after hearing it. Great song! Great song. I’m not a big fan of Urban’s but this is one of his best single releases. Beautiful song and I agree with Chris, Keith doesn’t ever do a bad song. This song done live at Keith’s concert is beyond amazing. I love this song, it is so beautiful. I can not wait to see the video. Keith is a fantastic entertainer and he doesn’t have a bad song! As much as I like Keith as an artist and person, this song does nothing for me. I see it as “just another song” about summer love. There is nothing particularly unique about the melody, production or lyrics. It’s dissapointing, considering how much hype there was from Keith’s fans to release it as a single; I was expecting so much more. 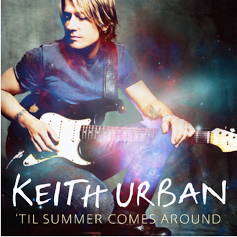 Just saw Keith Urban last week and this track was definitely one of the highlights of the gig. this kinda reminds me of my summer this year…. but the love only lasted like a week. You have to see Keith perform this song live to have a better appreciation for it. Keith had to cut the guitar solo for the radio and video versions. Seeing that guitat solo live in concert is just simply amazing!!! Anyone that has seen this knows what I am talking about!!! You are so right Kristy!! Out of this world great! This is a good song and i love this song.